CMA Intermediate Exam - Fee, Syllabus, Apply, Last Date, etc. Home CMA CMA Intermediate Exam – Fee, Syllabus, Apply, Last Date, etc. CMA Intermediate Exam – Fee, Syllabus, Apply, Last Date, etc. Get details on CMA Intermediate Exam like its Qualifications, Exam Date and Time, Syllabus 2016, 2012, Application Form, Fee, Registration, Course Duration and more details available here. Read the article completely to get full knowledge and browse the website for more information. Students can take register you directly to CMA Foundation/CMA Intermediate Program depending on your eligibility. A student has to get through CMA Foundation Course to be eligible to the next level i.e. INTERMEDIATE. Then A student has to get through CMA intermediate course is eligible to apply for CMA Final Course examination. Candidates who have completed the CMA Foundation Course are eligible for the intermediate course. The students who have finished graduation many not have to pass CMA foundation course. 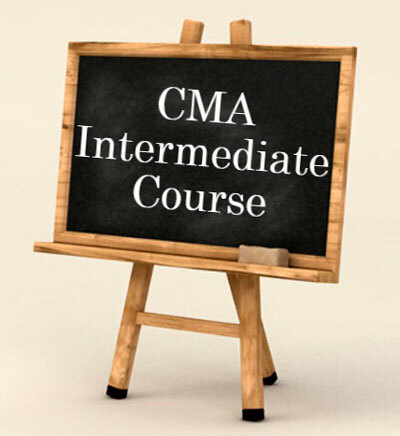 They can directly join into the CMA intermediate course. Candidate age must also be above 18 years. Read below ICWAI Syllabus for CMA Intermediate Exam. 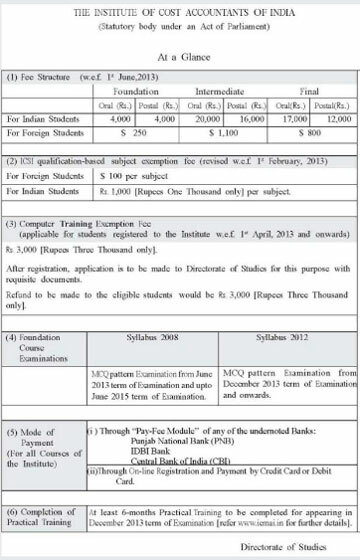 Note: Previously ICWAI Foundation, Inter and Final exams conducted by Syllabus 2012. Now Institute of Cost and Works Accountants of India (ICWAI) Changes the Foundation, Inter and Final syllabus from 2016 and introduced Syllabus 2016. So From June 2017, CMA Foundation, Inter, and Final exams will be conducted by Syllabus 2016. For December Term Exam should apply before 31st July of that year.